With the recent completion of the XXIII Olympic Winter Games and upcoming XII Paralympic Winter Games in Pyongyang, South Korea, there is understandable interest in celebrating the 20 the anniversary of the XVIII Olympic and VII Paralympics Winter Games that were held in Nagano, Japan. The Olympic legacy is alive and well here, with residents fiercely proud of the contribution their home made to history and legacy of the games. As a popular destination for skiers and snowboarders from all over the world, many visitors are curious about that legacy. 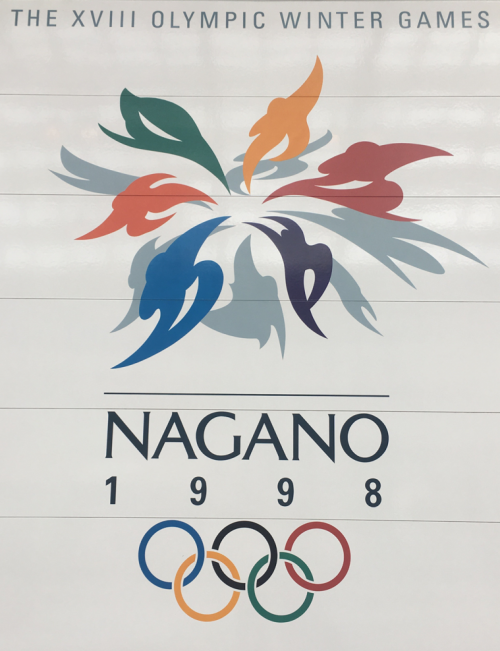 We have previously profiled the Olympic venues that are spread throughout Nagano City – including venues for the opening and closing ceremonies, ice hockey, speed skating and figure skating – which continue to be used and can be visited today. For visitors to Nagano City, we recommend staying at Kokusai 21 Hotel which acted as headquarters of the International Olympic Committee (IOC). 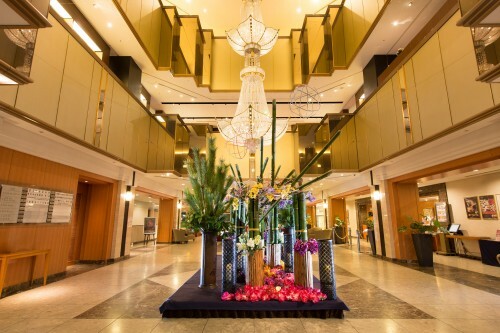 The hotel was selected due to its central location, quality of service, professional staff, and range of cuisine available at its restaurants including Japanese, Chinese, French, Italian, and more. Kokusai 21 Hotel is a short walk from Nagano Station and the city’s most famous cultural site, Zenkoji Temple. For those of you who really want to live the Olympic spirit – and literally push yourself to the Olympic edge! – why not challenge yourself on the same courses that the athletes trained and competed on in 1998 at the following resorts. As previously profiled, Shiga Kogen is not only Japan’s largest ski area but the biggest in Asia comprising 18 different ski areas and more than 80kms of interconnected trails! Shiga Kogen hosted several events during the games, including the first inclusion of snowboarding at a winter Olympics as an official/medalled sport. Snowboarding (giant slalom) and alpine skiing (slalom) were both hosted at Mt Yakebitai (Yakebitaiyama), while alpine skiing (giant slalom) was hosted at Mt Higashidate (Higashidateyama). 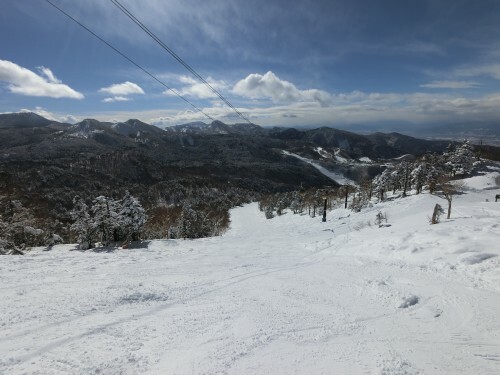 Yakebitaiyama Ski Resort includes two gondolas that will transport you to elevations of around 2000 meters from where you can throw yourself down various runs including the Olympic course. 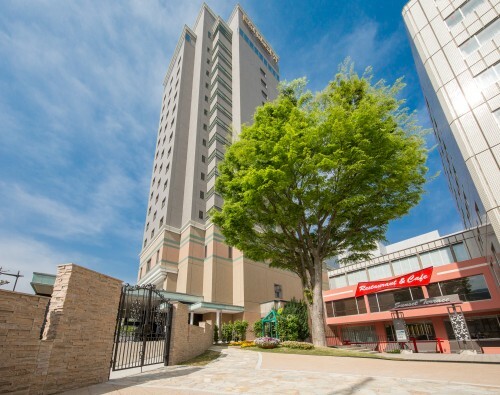 Nearby Higashidateyama includes advanced courses which have been used during both the Olympics and for world cup events. There is a variety of trails that make it suitable all levels. 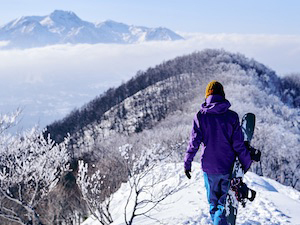 Shiga Kogen is easily accessible by bus from the snow monkey park or JR Nagano Station. 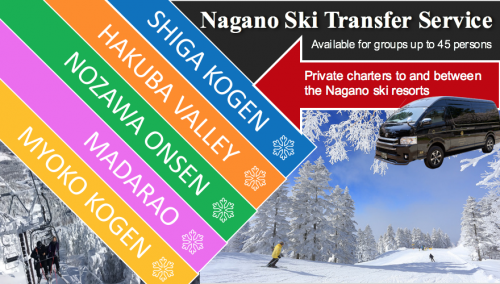 Please see our another blog entry for how to get to Shiga Kogen by public transportation. 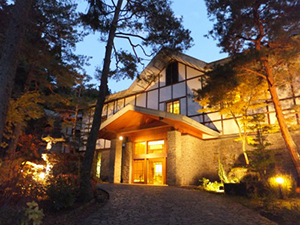 Hakuba is the most well-known and popular resort in Nagano for international visitors. Comprised of 11 ski resorts, Hakuba Ski Resort provides skiers and snowboarders with an abundance of courses and terrain to explore. One of the most loved resorts is Happo-One, which played host to alpine skiing events including downhill, Super G and combined. 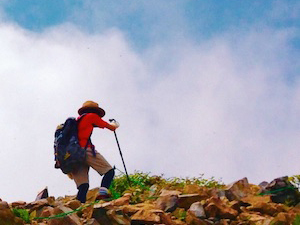 With a good amount of vertical elevation – over 1000 meters – and areas of steep pitch, Happo-One was well-suited to hosting these events however don’t let that mislead you. The resort retains a range of courses with lots of groomed runs and is particularly well-suited to intermediate skiers and snowboarders. Cross-country skiing and Nordic combined cross-country were also hosted at Hakuba along with ski jumping events at the Hakuba Ski Jumping Stadium. 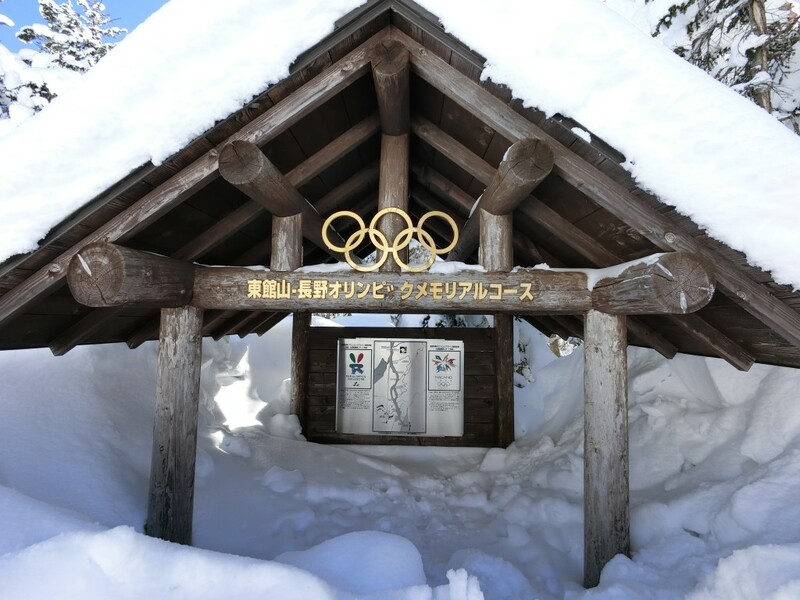 Blessed with an average of 11 meters of powder snow per season and a lively village for nightly recaps of your heroics that day, Hakuba Ski Resort is a perfect destination to test (and talk about) just how close you came to being an Olympic champion. 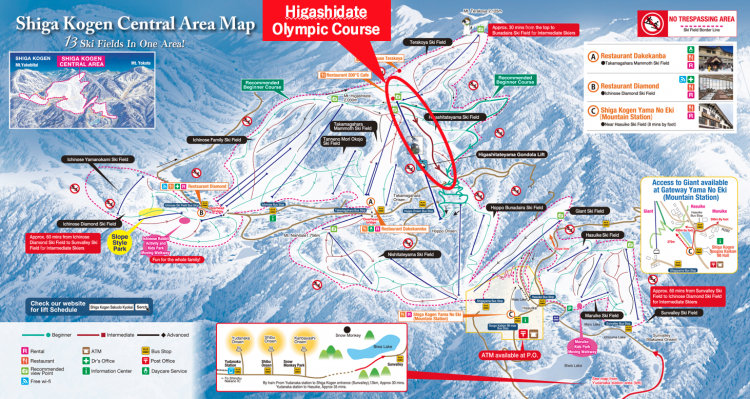 Hakuba Ski Resort is accessible from Nagano Station by bus. Another increasingly popular destination for international visitors, Nozawa Onsen is a terrific resort for skiers and snowboarders of all levels. With a range of terrain including long forest runs and fantastic snow conditions, Nozawa played host to biathlon (combined cross-country skiing and rifle shooting) events at the 1998 Olympics. As yet another resort almost guarantee great powder throughout the season, Nozawa Onsen is quickly becoming a favourite for international visitors. A lively and fun village that makes it appealing for those who want to combine their days on the mountain with a little apres ski at night. 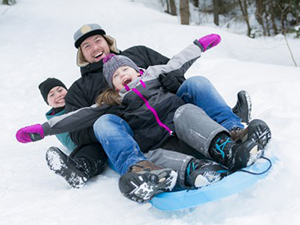 The village and resort is well-catered for international visitors and is a popular with families given the availability to good rental options, English language ski and snowboard schools, and childcare options. 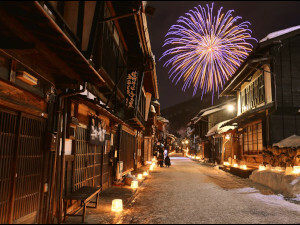 Nozawa Onsen can be easily accessed from the snow monkey park by bus or private transport. 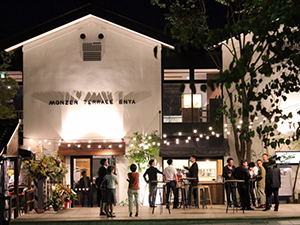 It is also readily accessible via Iiyama Station – on the Hokuriku Shinkansen line – and regular shuttle buses between the station and resort.